Like, really? How did we forget that? I'm still kicking myself and I'm super annoyed at myself but, we are moving on. I'm trying to put it behind me. Let's move forward. Onward, Talley Ho. Let's go. SO, this home renovation is a long time coming. My sweet parents are so patient. My dad is a contractor, and flips properties for a living. He's seriously amazing. He does them all by himself, and they turn out looking like complete STUNNERS. Since he's a one man show, his own home got put on the back burner, but this project goes to show you that patience and timing is EVERYTHING. Because this house is turning out simply gorgeous. I'm a little obsessed and also a little bias since I'm designing it alongside my super talented, gorgeous, hot mama! I think we three make a great team. We are working our way through the entire house, and I'll post more of their space as we complete it and get it photographed. For today, I am presenting to you their living room space. The space you see when you walk through the front door. I'll do my best to explain what we did since I don't have those before photos. (sad pouty face) WAIT... I have just had a stroke of genius. My mom's style leans more to an eclectic side. She likes color, texture and unique elements, but also loves that clean and simple look. So our goal was really marrying those two styles and making a beautiful baby. 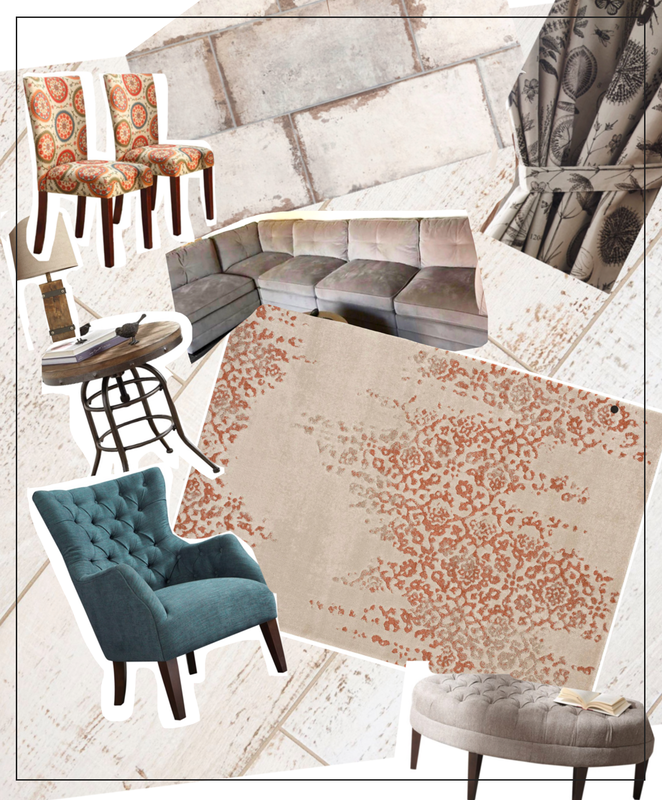 It's really beneficial to create some sort of vision or mood board for your space before you start designing. 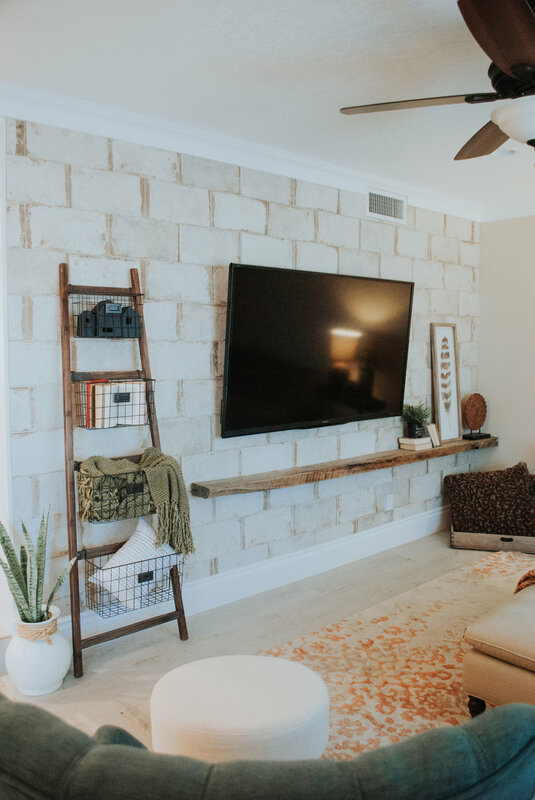 The reason for this is to create a clear and concise vision of your space, and to make sure the elements and pieces you're choosing look cohesive and blend together well. This is the board I threw together quickly to give my parents an idea of what I was thinking. This is also great for when you already have furniture for the room. For example, my parents had curtains and a couch already chosen for the space, so I incorporated those into the board and designed around those pieces to make sure everything blended before they made any large purchases. This project is making me so excited, and if you like this room, just wait. I'll be showing the dining room, fireplace room and the kitchen next! 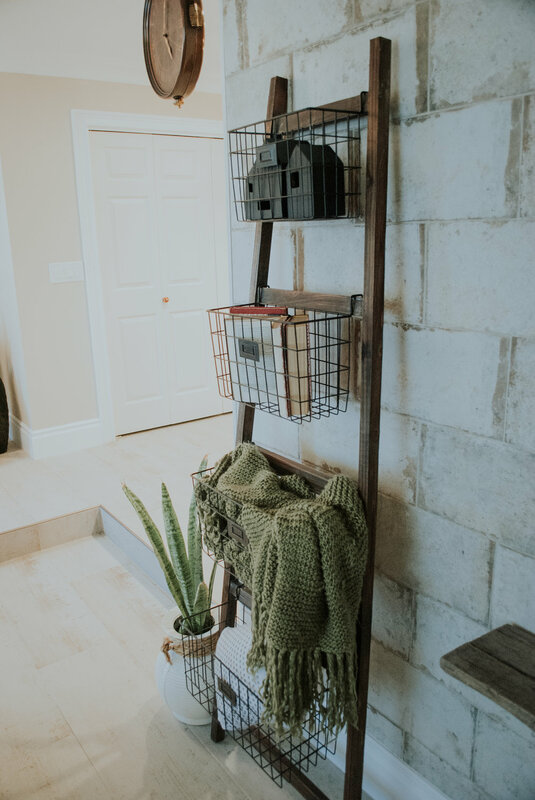 I cannot wait to share more of this gorgeous house with you soon!